Featuring our Rider-First Engineered™ design that ensures every frame size has the same legendary responsiveness and smooth ride quality that you'd expect from a Roubaix. 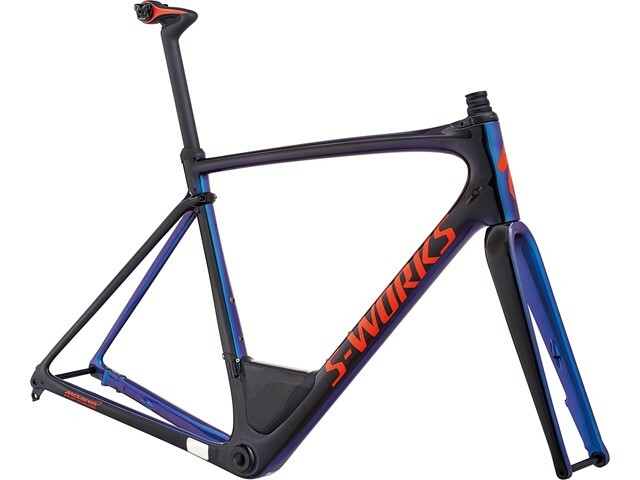 The S-Works FACT 11r frameset is our highest quality carbon frame, offering the ideal blend of light overall weight and targeted stiffness, while the all-new Future Shock "suspension" system at the cockpit delivers a revolutionary degree of comfort and control. An S-Works Roubaix Disc fork is built from our top-end FACT 11r carbon fiber for supreme stiffness, strength, and reactivity, while a thru-axle design only stands to bolster all of the above. FACT carbon CG-R seatpost has integrated elastomer inserts that help dissipate road chatter and vibration, without sacrificing responsiveness or power transfer.